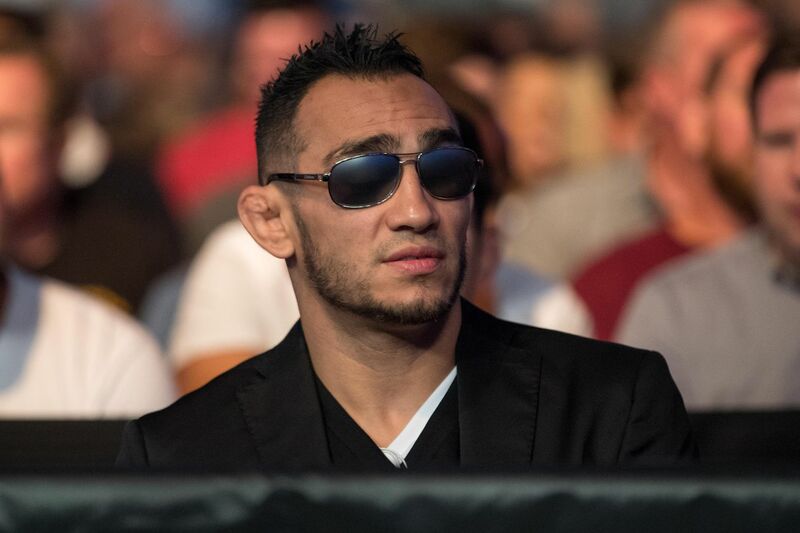 Tony Ferguson and Kevin Lee are all set to throw down at UFC 216 on Oct. 7, 2017 in Las Vegas, Nevada, for the Ultimate Fighting Championship (UFC) interim Lightweight title. Someone told the UFC’s PR machine otherwise, it seems. Ferguson took to Twitter to call out the promotion for marketing the bout as a Featherweight title fight, not Lightweight. Max Holloway, I’m sure, is not impressed. Ferguson has won nine in a row and was last seen defeating Rafael dos Anjos last November. As for Lee, he is an owner of a five-fight win streak, submitting Michael Chiesa in his previous outing earlier this year in a highly-controversial bout. The winner of the interim title fight is expected to face current division champion Conor McGregor once “Notorious” returns to the cage following his loss to Floyd Mayweather a few weeks ago.